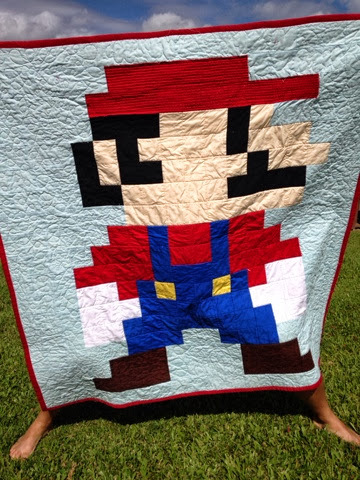 Desert Rose Quilts: Mario Quilt! This awesome dude was designed by Angela at Cut to Pieces. 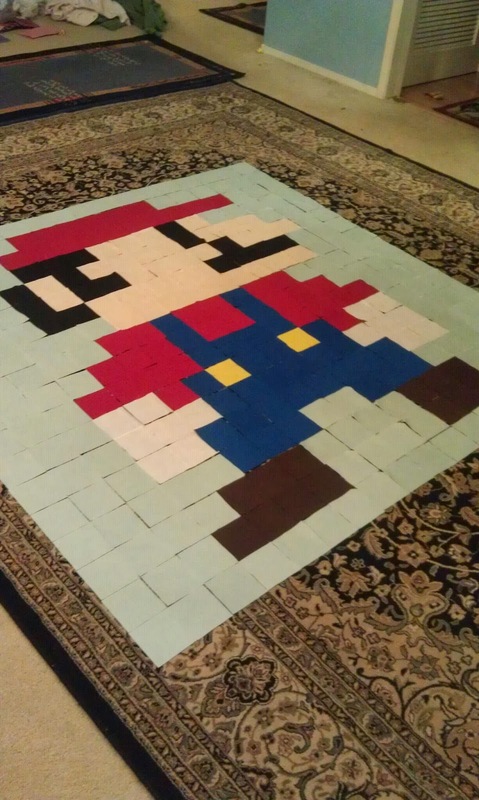 I just tripled the size of her Mario pattern and left out his friends! This is the first time I've tried Free-motion quilting on my little machine that could, and it almost worked. I have some serious looping issues on the back but the front looks awesome. I gave him some little hills to jump on, some clouds, and a vine to climb. Picking out the perfect shades of Kona cotton was super fun, and I had a blast putting this guy together.